A weekend in Paris...for Valentine's Day...what could be more romantic...or more cliché? Whatever your opinion, that's what we did this year when Cupid struck. 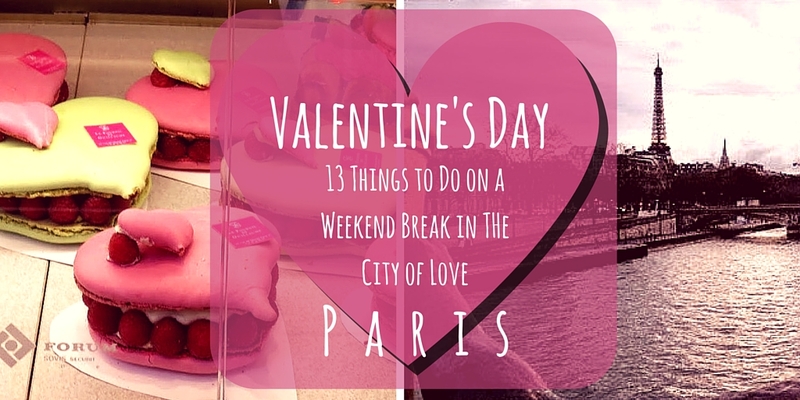 Here are 13 ways to dial up the lovey dovey factor in the City of Love. France is known for its fresh food markets. Stroll among the fruits and vegetables on offer, maybe even buy some flowers. 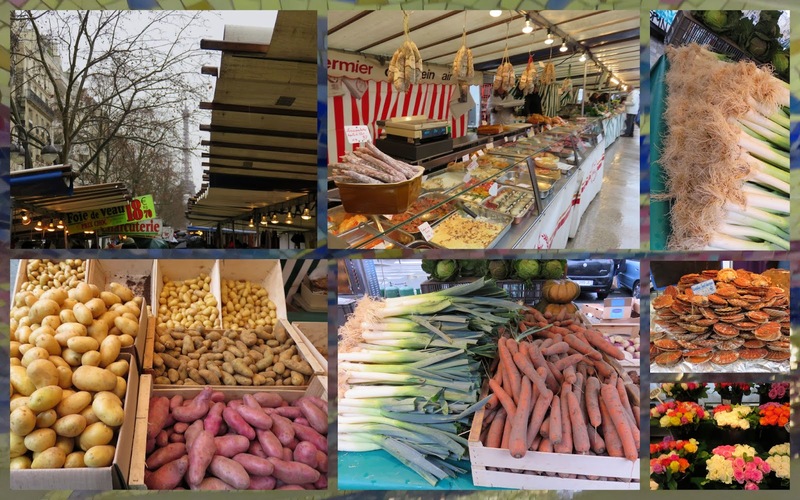 We visited Saxe-Breteuil market located between Ségur and Duroc Metro stations. This market sits in the shadow of the Eiffel Tower which definitely amps up the romance factor. 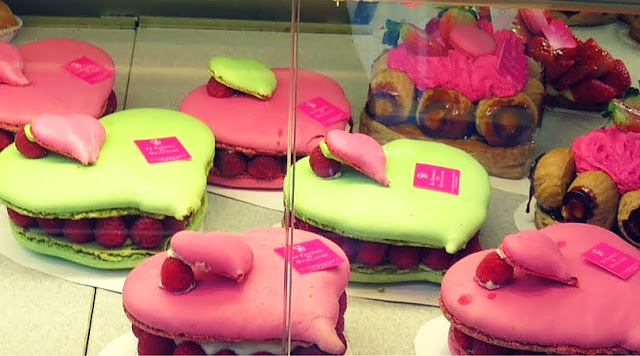 Paris is known for its patisseries and boulangeries and they pull out all the stops for Valentine's Day. 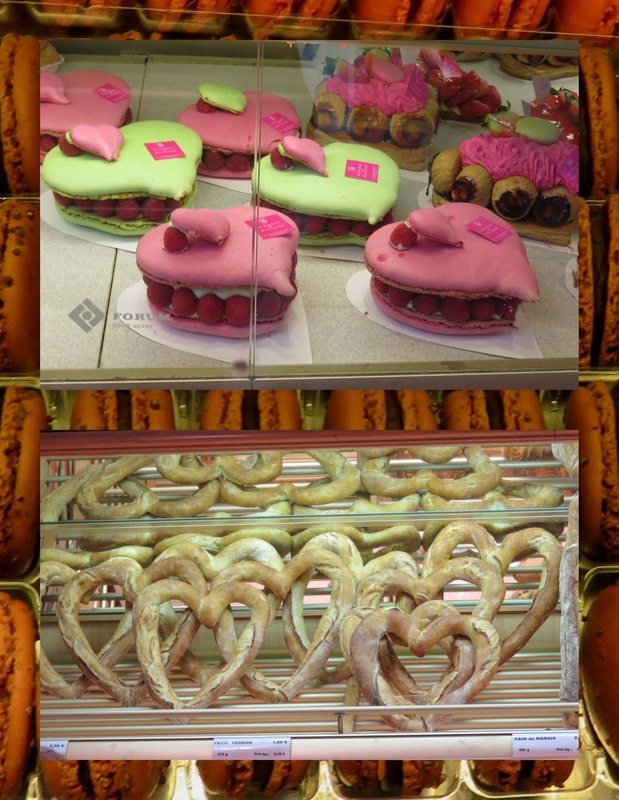 Why not treat yourself to a heart-shaped cake or pretzel to celebrate the occasion? 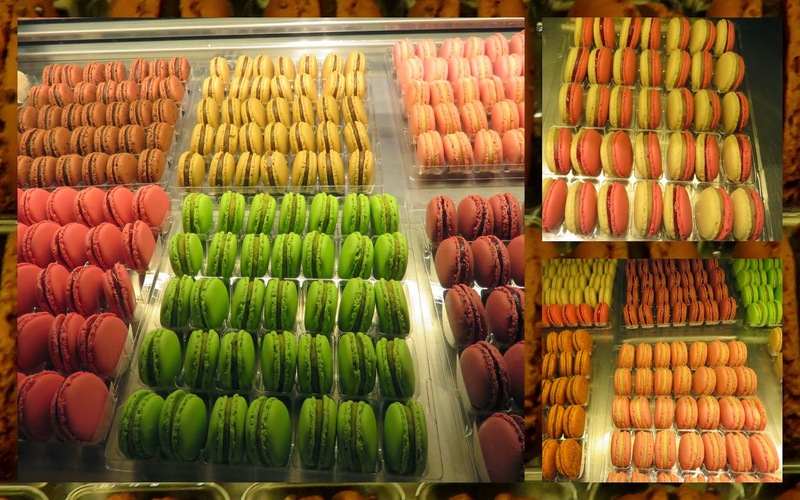 Fresh macaron are one of my favorite treats in Paris. Carefully pore over the flavors, laugh and decide on each one as if its an important life decision and then take them to the park for a romantic afternoon treat. 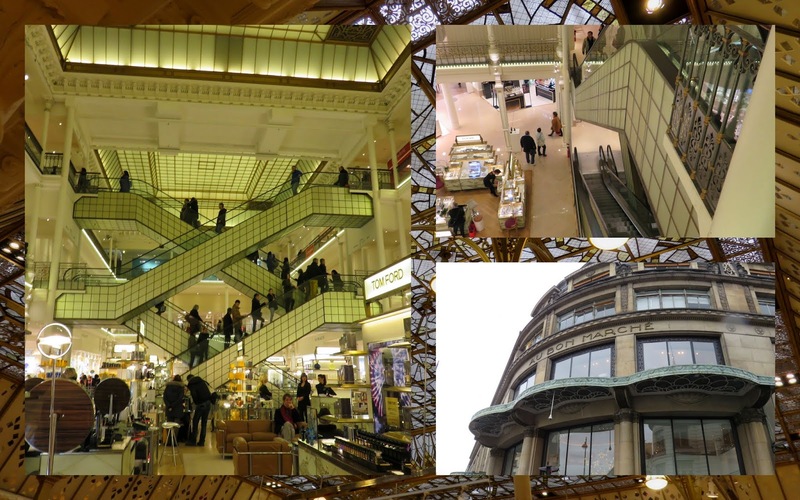 Le Bon Marche, one of the oldest department stores in the world, is worth a visit to admire the antique escalators and stained glass ceilings. Chase each other up and down the escalators as you explore the high end goods. Parisian cafes really pack in the patrons. We stopped at Bar de la Croix Rouge for lunch under a covered patio. By the time we left, the place was so packed that I was rubbing thighs with one neighbor and bumping knees with my love across from me. Every move that the waiters made seemed to simulate a carefully orchestrated chess match. 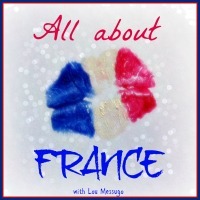 We enjoyed this typical French lunch experience with a healthy salad and bread paired with a glass of white wine. St. Germain on the Left Bank is a vibrant neighborhood for a stroll. 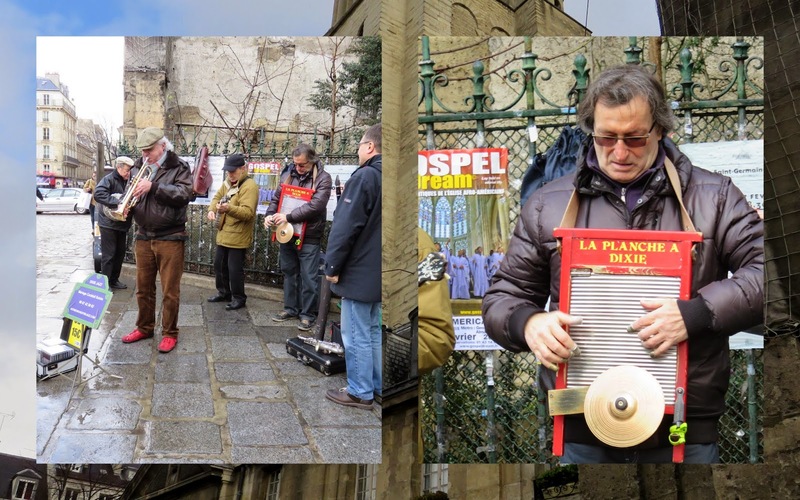 Hold hands and smile while watching a bit of Dixieland Jazz in the shadow of Église de Saint Germain des Prés. 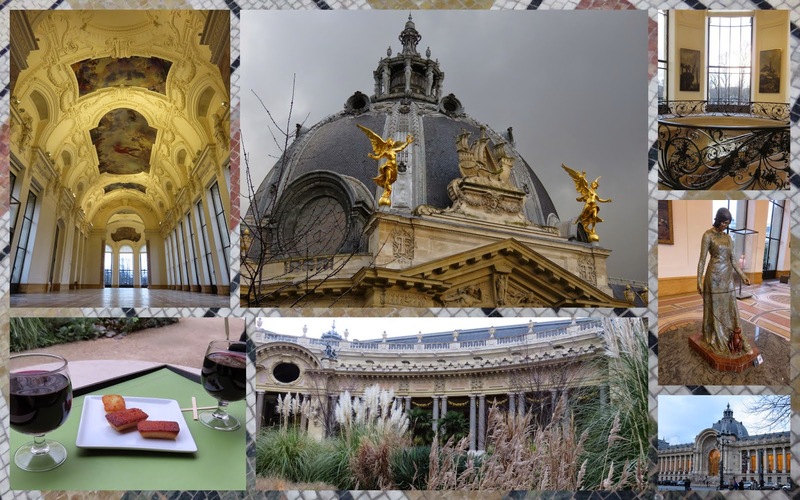 Le Petit Palais offers free admission to the permanent collections and is worth visiting to get a glimpse inside this Beaux-Arts stunner that also houses the City of Paris Museum of Fine Arts. Sit outside in the courtyard for a romantic diversion of a glass of wine and petit fours. Viewing the sunset over the Eiffel Tower is a classic Parisian experience and the perfect romantic way to end a Valentine's Day of exploration. Pont Alexandre III near Petit Palais is an ideal vantage point. A Valentine's Day weekend in Paris is incomplete without a fantastic romantic dinner. 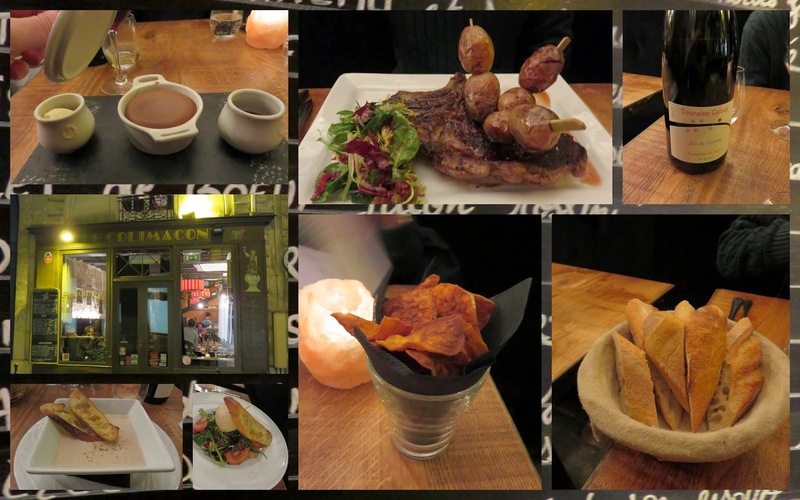 We made reservations at Le Colimaçon in the Marais neighborhood. We took a long stroll through the winding streets into and out of shops and past tempting bakeries before coming inside for the main event. Homemade sweet potato crisps started things off along with bread styled to look like a heart. A bottle of wine washed down our classic steak and potatoes before we somehow managed to find room for a warm, flourless chocolate fondant. Magnifique! 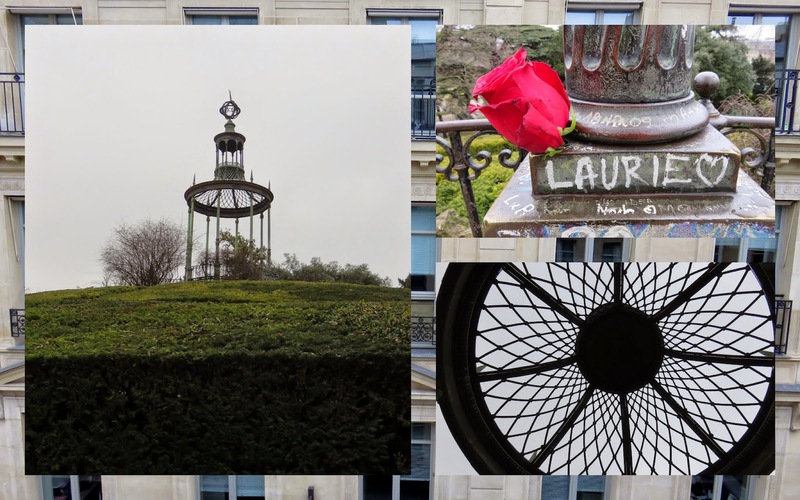 The Jardin de Plantes features countless walking paths but my favorite involved navigating a winding hedge maze to the top of a hill where a small gazebo stood sentinel. Clearly someone else had this idea before we did as we found a rose and ode to love left behind from previous visitors. Steal a kiss before heading to the train station. 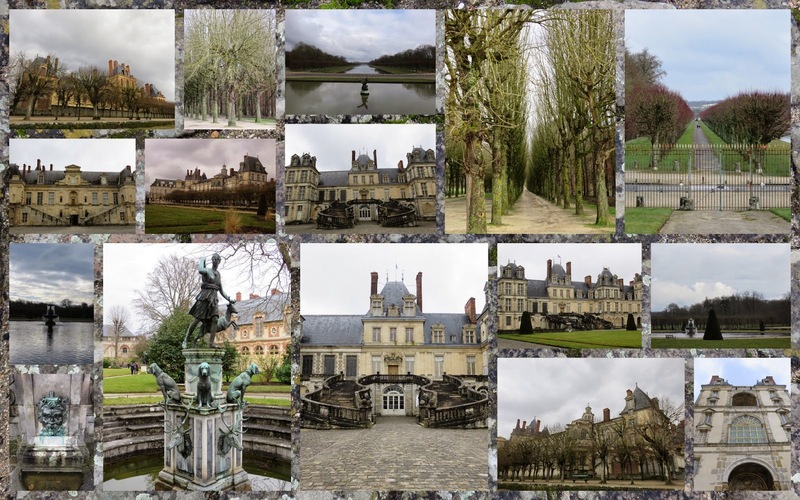 Fontainebleau is an easy day trip from Paris (less than an hour by train). From a practical perspective, the town is home to INSEAD (business school) but also to a stunning chateau. 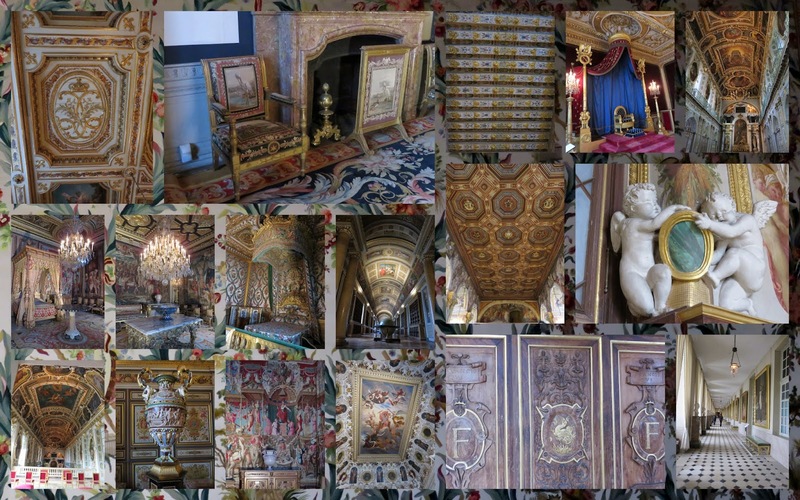 Many French royals and Napoleon himself called the palace home. Book a self guided tour and imagine what it would be like to live in this opulence under the watchful eye of portraits of Louis XV's hunting dogs. Perhaps you'd commission your own portraits to hang on the wall for future generations to gawk at. The grounds of Fontainebleau are also stunning. Huddle closely together, it's a might chilly in February after all, for a romantic walk around the grounds and extensive gardens. 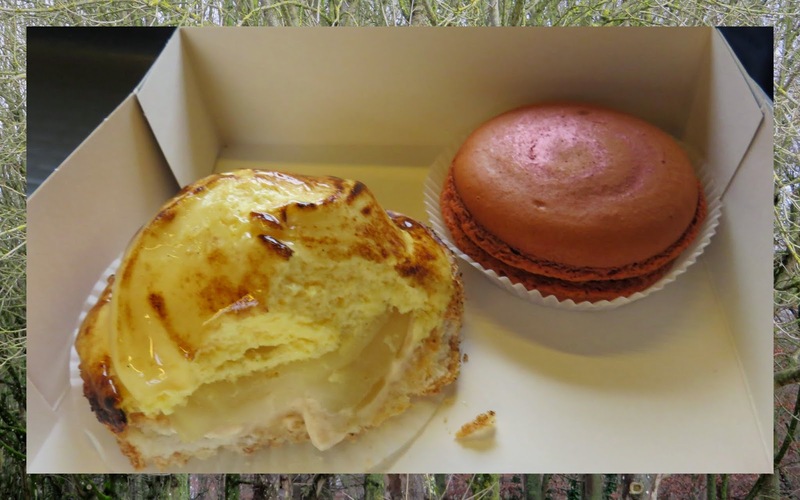 Buy a little something to nibble on at a patisserie in Fontainebleau to tide you over on the ride home. Isn't love sweet? It's especially so on a Valentine's Day weekend city break. 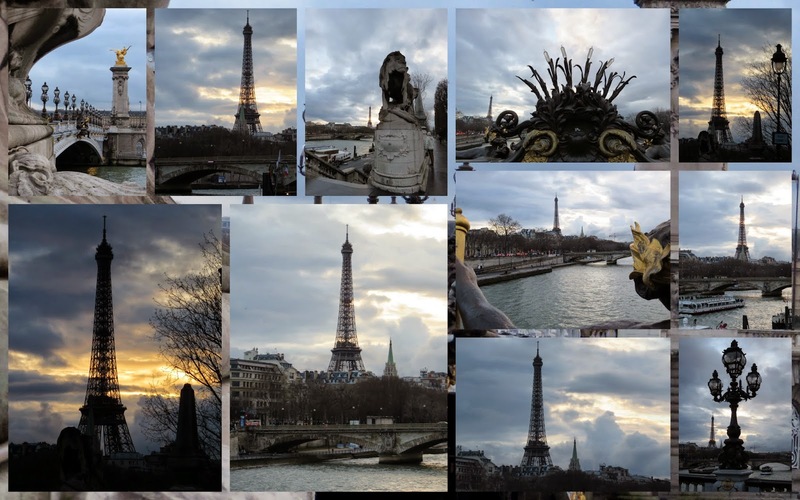 There are so many places to visit in three days in Paris, how can you resist taking this trip! 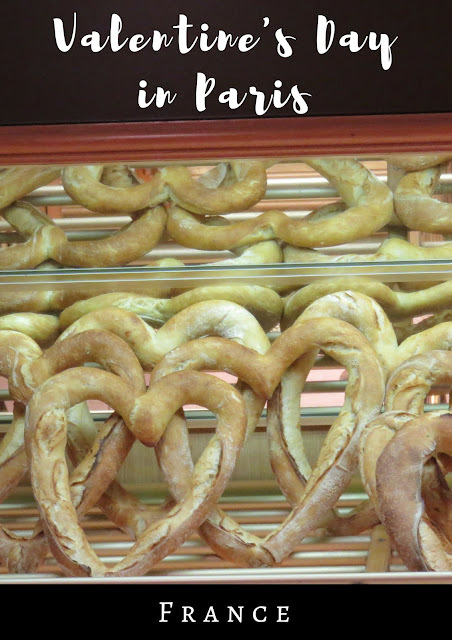 You may have noticed that many of the romantic things to do that I recommend in Paris involve eating. 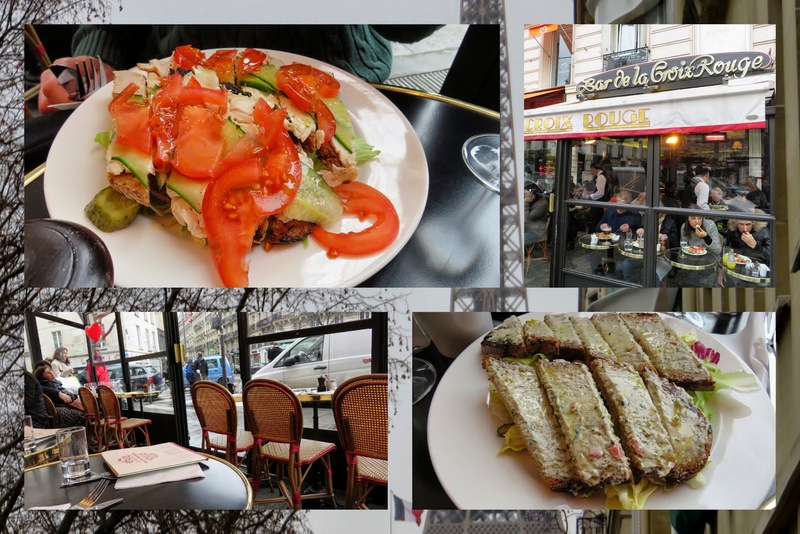 Want to know more about the Paris food scene? Check out this ultimate foodie guide to Paris from Untold Morsels. Check out this map for a summary of the places we visited for an ideal romantic getaway. Inspiration for a romantic Valentine's Day citybreak in Paris.